I've been a fan of F.S. 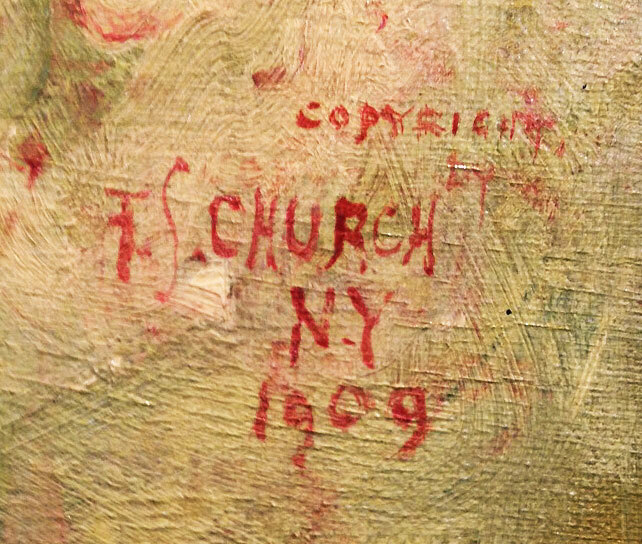 Church since I saw my first painting in a back office of Skinner's Auction in Bolton, MA, 35 years ago. He was such a great artist, having painted beautiful paintings in the Art Nouveau style. This example is one of the prettiest I've had in years. His model is ethereal and gorgeous. I'm not sure of the significance of the wings, but I've named it Lady Mercury as a consequence. It's oil on canvas, 22" x 16" + the frame for an overall size of 30" x 24½". 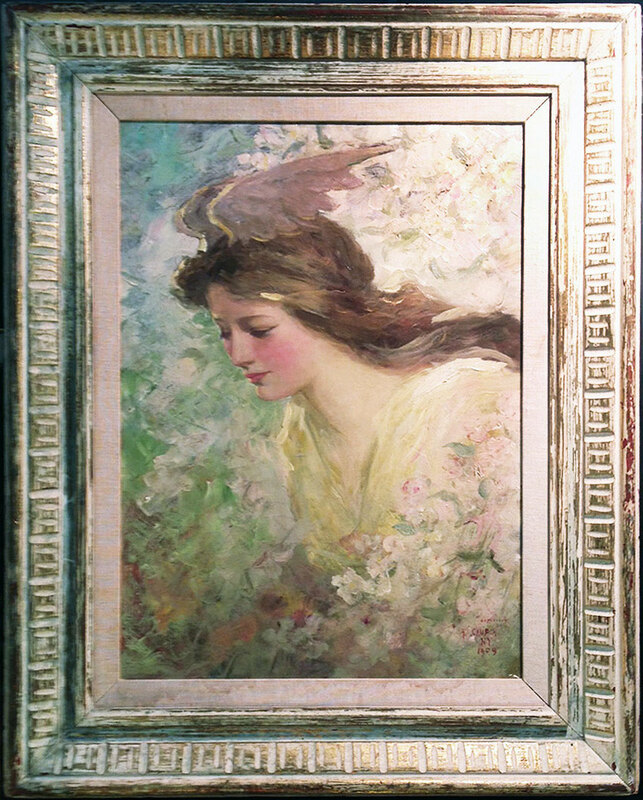 The canvas is in exceptionally nice condition because it was framed under glass for many years. I've since removed it because I don't believe oil paintings should be under glass. The frame is also in very nice condition. Signed, copyrighted and dated 1909.